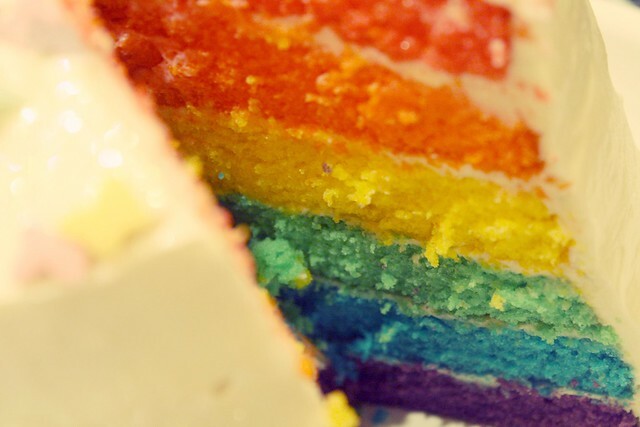 Rainbow Connection Vanilla Layer Cake. I've had this recipe in mind ever since I saw Whisk Kid's amazing version. 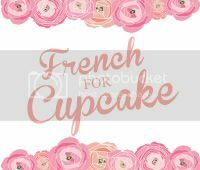 I wanted to find a recipe that was more adaptable for British ingredients and came across this recipe by The Pink Whisk which worked wonderfully. This was my first time using gel food colourings and I can't believe I've never tried them before, I won't ever be going back to liquid colourings! These are neater, easier to control and you need less. I bought mine off ebay in a rainbow set. - 500g self raising flour. 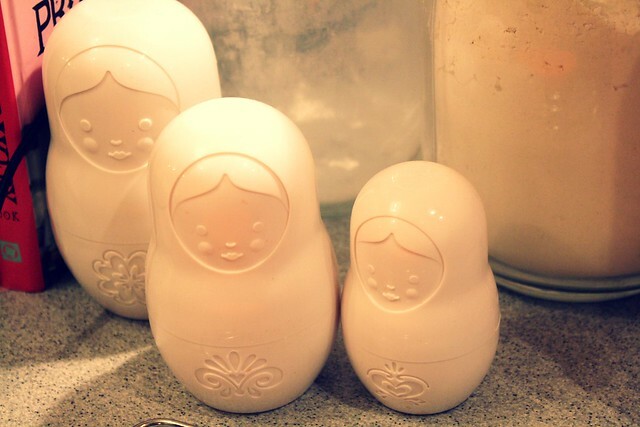 - 500 grams butter, softened. 2. Add the eggs one at a time, also adding a spoonful of the flour with each egg. 3. Once the mixture is combined, divide it into 6 separate bowls. 5. Transfer to the cake pans and bake for 15-18 minutes, until a skewer comes out clean. 2. Add the cream cheese and mix until well combined. 3. Add the sifted icing sugar and beat until light and fluffy. 4. Once the cakes have cooled, ice and enjoy! My friend is planning on making one of these and I'll pass it along to her as an option. 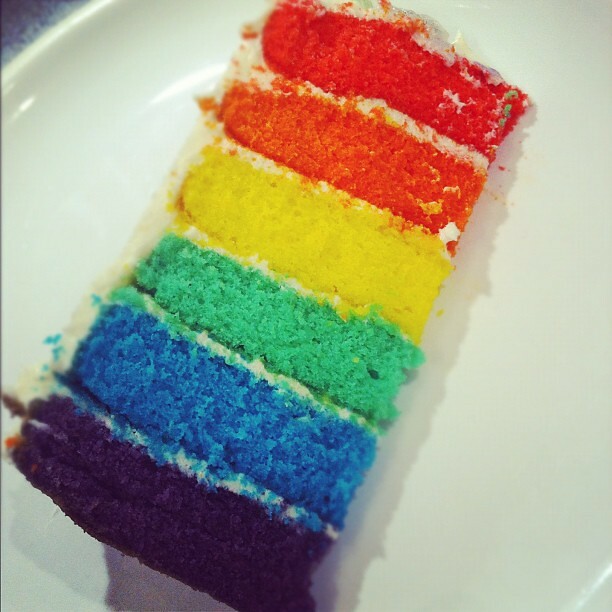 Yay I love rainbow cake! Most fun cake to make ever! 10 eggs?! holy moly. I love big cakes like that but I always find it difficult getting them straight - mine end up like the leaning tower of pisa haha. 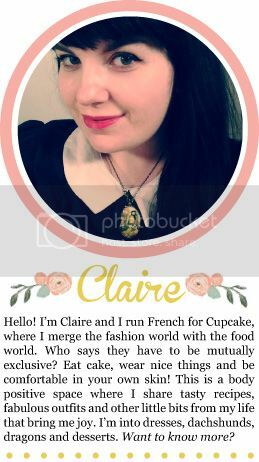 Yours looks FAB Claire! That is simply stunning! Have seen 1 before but the added butterflies clinch it for me! I'm amazed at the talent you possess in baking for I can't bake a thing (not even exaggerating) so I'm highly impressed right now and also would really love a piece of that cake!!! This looks so good, I love all the colors. 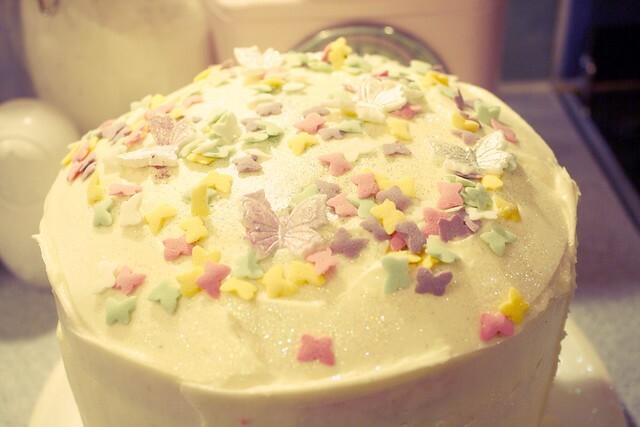 I will have to make this one of these days, maybe for someones birthday. Yum, thanks for sharing! 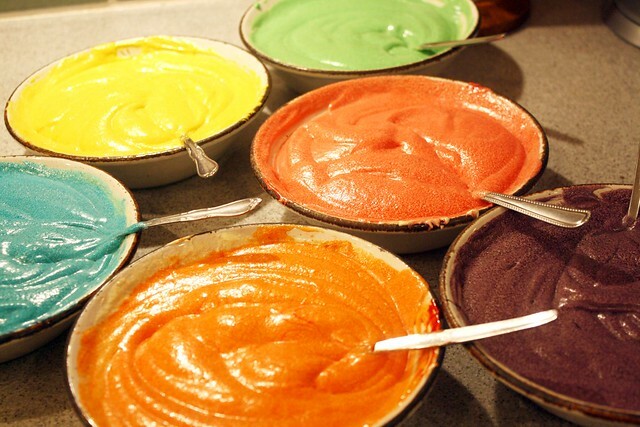 I've been wanting to try gel food coloring for awhile now and you've just convinced me! 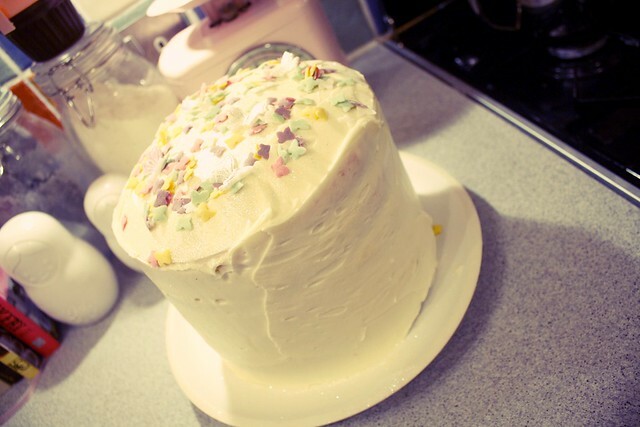 Also, totally impressed that you can keep your cake from leaning slightly at that height. 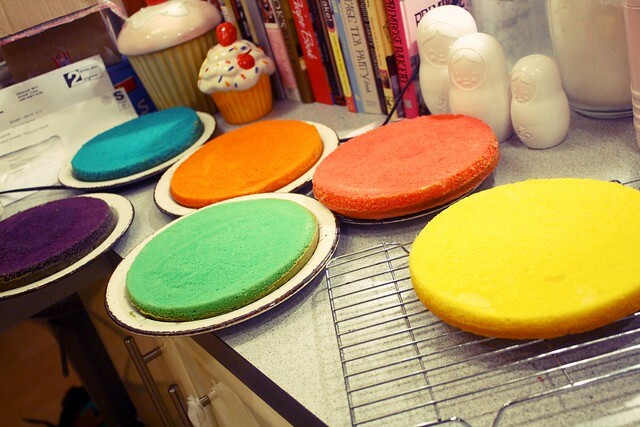 My cakes always look wonky and I normally only do two layers, haha. I looks amazing! 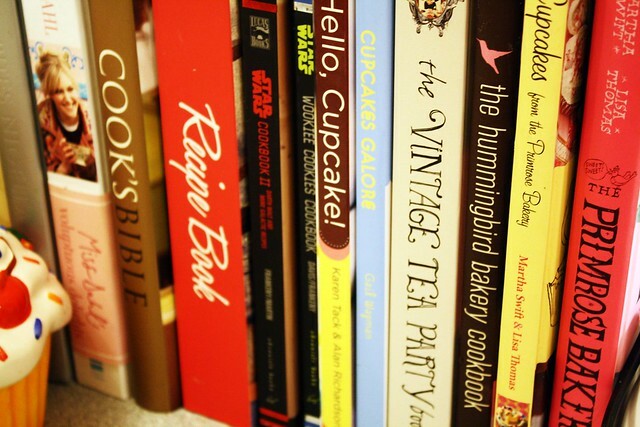 I have wanted to make one of these cakes for so long, but I have never had the occasion to do so - maybe I should just make an occasion:)Also I love your recipe book collection, Star Wars cookbooks? Amazing. that is officially the best cake ever! 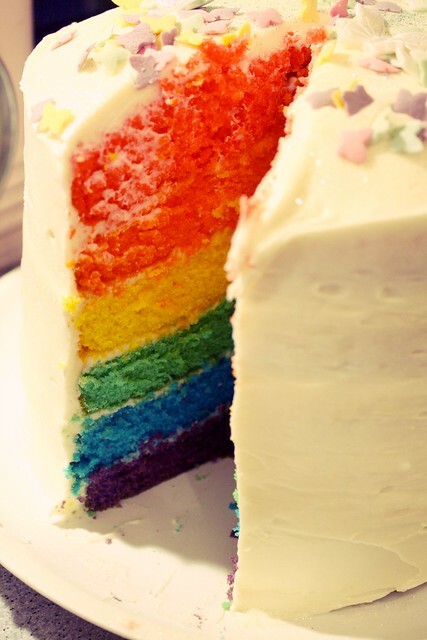 Thats a beautiful cake, I am definately going to try this. 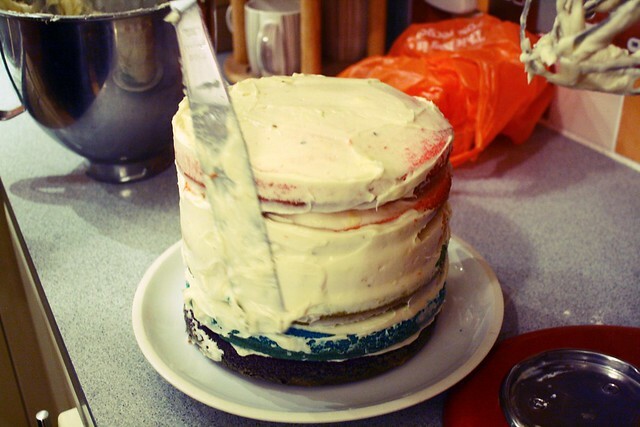 What size cake tins did you use? Ohhhh NOW I get it! 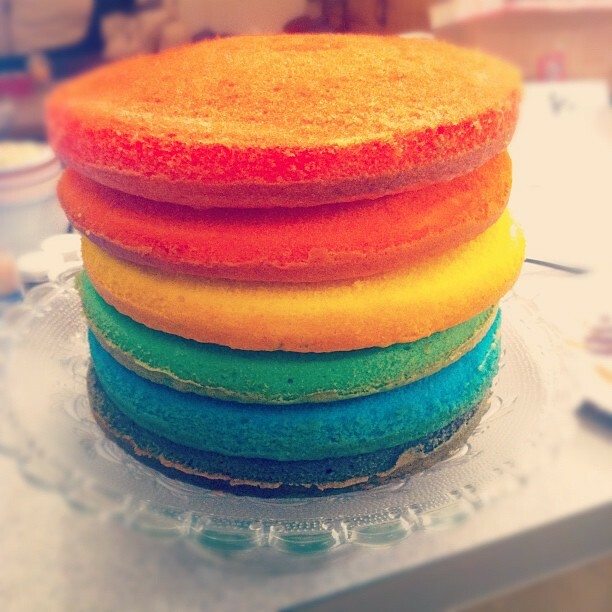 It always confused me how rainbow cakes were made! It looks sooooooo good and I want to eat it right now please. 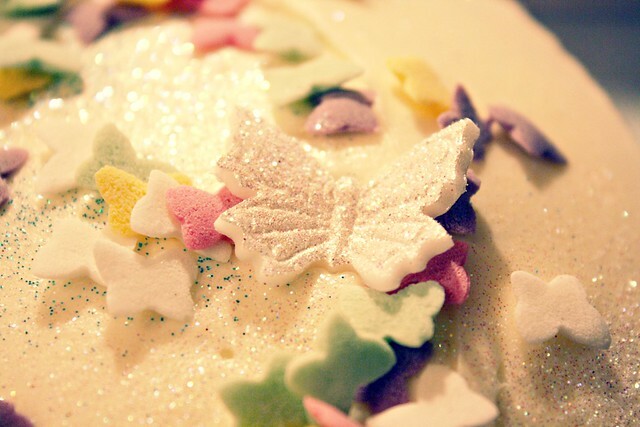 You are the world's most talented cake maker! Oh my word that cake is immense!! This looks amazing, I am definitely going to have to try this! Omg it looks so gorgeous! This is a great post - awesome photos! That cake looks friggin' banging too. Wowser! I am impressed. That cake looks scrumptious. Wow! This looks soooo good!